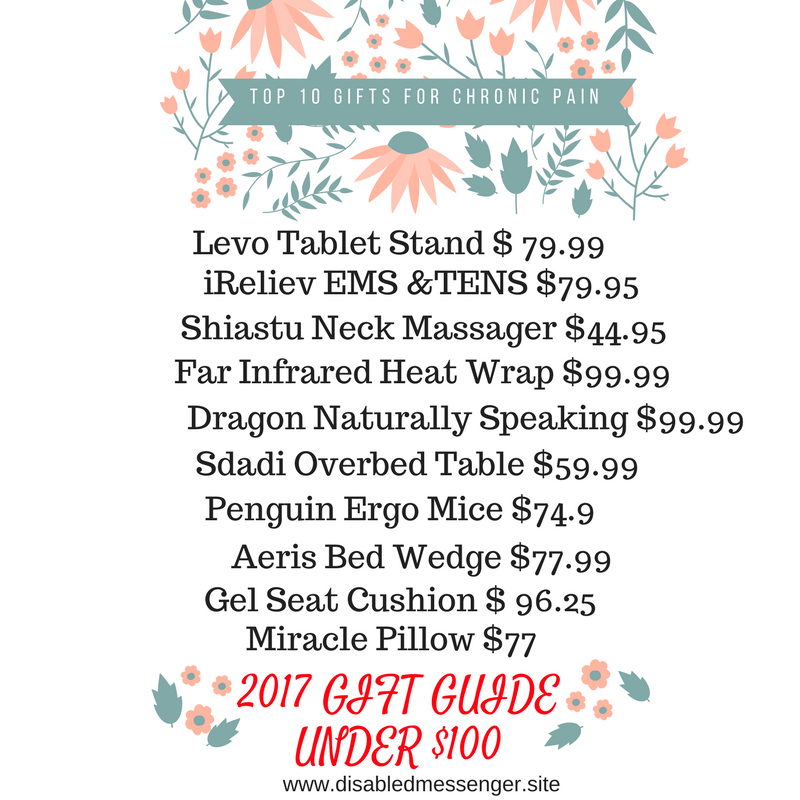 Are you looking for holiday gifts for your loved ones who are suffering with chronic pain? Or are you living with chronic pain and have no idea what to tell your friends and family when they ask you about your holiday wish list. 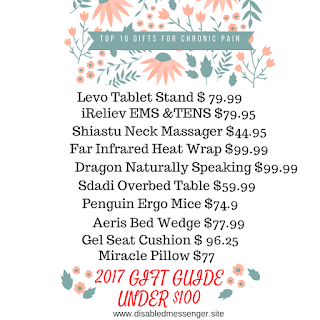 Here is a list of gift ideas categorised into various groups that I have compiled based on my own experience and that of the patients that I interact with. 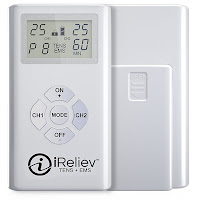 TENS + EMS: (iReliev TENS + EMS $79.95) It is a small battery-operated device. The TENS functionality relaxes the muscles by modifying painful sensations with the electrical impulses.It is one of the best ways to reduce dependence on opioid of pain medications. The EMS functionality assists in rehabilitation of muscles by improving their strength. Recurring costs may include electrodes. Read my post on how to increase the life of electrodes. Check out the YouTube video description here. 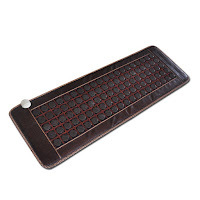 Far Infrared Heating Pads : (Legoyo Far Infrared Heating Pad $ 99.99) Infrared heating pads provide a deep penetrating heat that will relax difficult to reach muscle groups. I really like this over the abdomen. The bestsellers like Thermotex of much costlier. They have the additional ability to fold and can therefore be used on the shoulder. If you have problems like back pain and you don't mind lying for extended period of time then this is perfect. This should really be mandatory for people with desk jobs. 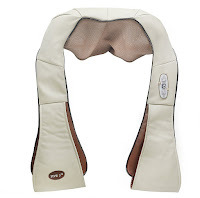 There are several neck massager is available. However, massagers that at least have a Shiastu massage feature are well worth trying out. The ones which provide a kind of vibration massage did not help me at all. Check out the YouTube video review here. 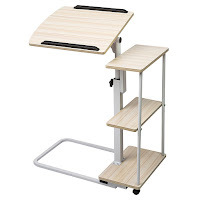 Who is it for : Useful for people having sedentary lifestyle, especially those working desk jobs. Very important in conditions with back pain,cervical and upper limb pain. What does it do : Helps maintains proper posture. Prevents repetitive stress injuries. 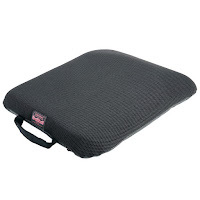 Gel Seat Cushion : (Conformax Airmax Gel Seat Cushion $96.25 ) A seat cushion is a must have for anyone who sits for a long period of time. For example, people with desk or driving jobs. As compared to a conventional seat cushion, the gel helps to spread the body weight and reduces the chances of formation of pressure points. It is very useful for patients of pelvic pain and anorectal conditions like haemorrhoids. Tablet Stand : (Tablet Stand Levo G2 $79.99)If you have a tablet, you must consider buying a tablet stand. As compared to a mobile, tablets are used more for video entertainment which translates to long hours of looking down while viewing entertainment shows. The extended neck posture exacerbates neck pain by reducing the disk spacing between the cervical vertebrae and increasing muscle imbalance. A tablet stand, therefore, becomes very essential. The cheaper ones with flexible arms are usually not able to take the weight of the tablet. Sturdy tablet stands like Levo G2 are recommended as a result. To adapt to individual ergonomic postures, the tablet stand allows the tablet to be rotated in various angles in different planes. Check out the YouTube video review here. 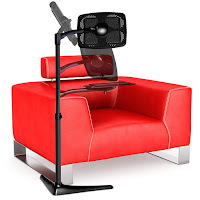 Adjustable Table : (Sdadi adjustable table $59.99) Adjustable table uses are not limited to using it as a laptop or an over the bed table. The main feature is its mobility and height adjustibility. I have used it as a dinner table when I was unable to look down at the meals because of severe neck pain. I have also used it as a adjustable support for mobile holders like this. It can also be used as a way to transfer items from one room to another for a patient who cannot lift even a few pounds of weight. Check out the YouTube video review. What does it do : Maintain proper body alignment while resting in bed. Price : $ 77.90-$ 77.99. 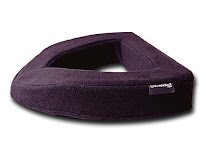 Memory Foam Bed Wedge : (Aeris Memory Foam Wedge Pillow $77.90) If you spend more than one hour in your bed every day reading or doing any other activity, you should own one of these. They are very useful in conditions like acid reflux by helping you sleep in an inclined position and therefore reducing the chances of the acid from the stomach getting into your throat. I find this helpful in migraine because for me, the headache increases when I'm lying down . Check out the YouTube video review here. What does it do : Operate mobile and computer without necessarily using their arms and fingers. 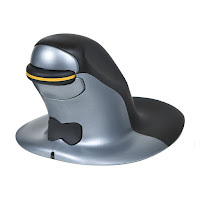 Ergonomic Mouse : (Penguin Wireless Mouse $ 74.98) This is recommended for anyone who uses mouse throughout the workday. Ergonomic mice prevent strain in the rest and serious injuries like carpal tunnel. In my opinion, these should actually be mainstream so that they are no longer called as ergonomic mouse but simply mouse. Penguin is one of the several vertical mice that is available. The distinguishing factor is it being ambidextrous - it can be used by both hands. The intention is to allow a user to switch between hands frequently throughout the day to prevent strain on one particular hand. Despite what the ergonomic marketing literature may claim, using any device constantly, even in an ergonomic, natural position will still cause strain. It is best, therefore, to keep on changing positions and this is what this mouse does very well. If you purchase this, be sure to check out the size. Check out the YouTube video review here. 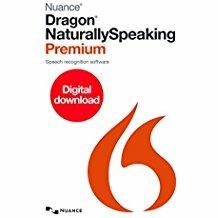 Speech Recognition : (Dragon Naturally Speaking Premium $ 99.99): I am able to compose this blog post only because of this program. In fact, after I started using speech recognition, I realized that even if I become okay, I will continue to use this for text intensive jobs like email and word processing. It is not only useful as an assistive technology tool, but also improves productivity for normal people. It is a great gift for kids with dyslexia. A significant part of this blog is devoted to free video tutorials on learning to do relatively complex tasks with the software.The software comes in different versions both for the Windows and Mac. The home version for Windows is much cheaper at $ 50 approximately and is sufficient for email, web surfing and word processing. The premium version, which I use, provides more functionality including the ability to use Microsoft Excel. There is a professional version for both Windows and Mac (about $ 300) is which allows you to create macros to automate tasks. For Windows comes with an inbuilt speech recognition. However, Dragon NaturallySpeaking accuracy and features go far beyond that provided with Windows.